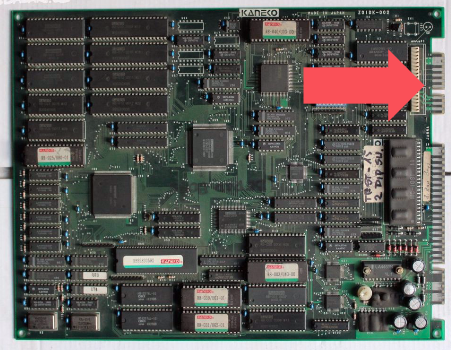 From memory that connector is to enable a 3rd player. I saw a custom adapter once that allowed you to use a Mega Drive controller for Player 3. "I have swear to buy this arcade when I was 12 years old, got it; and had its PCB concealed and locked away in my shelled luggage for 10 years untouched: It has been tested today (1/27/2018) and that it is %100 working from the hardware and its software played though-out of its EPROM (no artifacts and defects nor of its regards like it). I have wanted it to die with me, but I am at an incoming RARE living condition that it doesn't deserve to be destroyed."